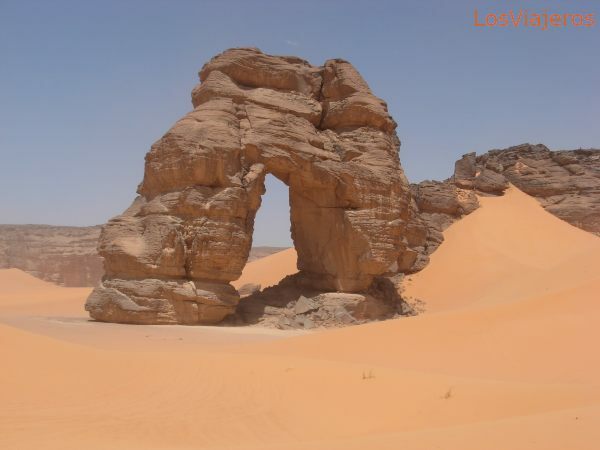 Gigantic natural rock arch - Libya: Between the cliffs of Akakus mountains, this enormous rock arch. There was strong wind, and in the desert, that means sand in your eyes, and while breathing. Carlos se protege de la tormenta Carlos and the sandstorm "Index"